This book will be of tremendous use to all healthcare professionals from physicians to nurses to social workers, rehabilitation therapists, and chaplains. The pathway taken here is a sensible and reasonable one, emphasizing a patient-centred approach that underscores the importance of spiritually competent care. The Editors do an excellent job of describing how to integrate spirituality into patient care for all of the different healthcare professionals. They also emphasize the importance of an evidence-based approach that is guided by research. This book provides superb guidelines that will be enormously helpful to every healthcare professional. This practical guide tackles the important issues of spirituality in health care, emphasising the role of organisations in developing a culture of leadership and management that facilitates spiritual care. Spirituality is a central part of holistic care that addresses physical, mental, emotional and spiritual aspects of care in an integrated way. Ideal for practitioners, educators, trainees and managers in nursing and healthcare, the book is also relevant reading for occupational therapists, physiotherapists, social workers and psychologists. 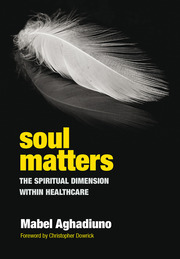 Chapter 1: What does spirituality mean for patients, practitioners and healthcare organisations? 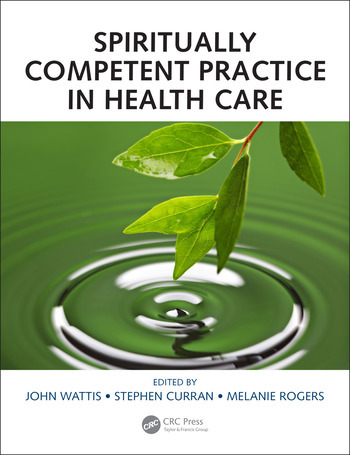 Chapter 3: Spiritually competent practice in healthcare: what is it and what does it look like? Chapter 5: How Can Spirituality be Integrated in Undergraduate and Postgraduate Education? John Wattis has many years’ experience of working as an academic consultant in psychiatry for older people and in medical management, and has co-authored many research and educational papers in these areas. Over the last 20 years or so he has developed a particular interest in issues around spirituality in healthcare. He is co-author or co-editor of a number of books concerning aspects of old age psychiatry and management and leadership in medicine. He is a founder member of the Spirituality Special Interest Group (SSIG) in the School of Human and Health Sciences at the University of Huddersfield, and is co-supervisor of a number of PhD students working in the field of Spirituality and Healthcare. A number of his recent publications, co-authored by members of the SSIG have been in the field of Spirituality and Healthcare. Stephen Curran has many years’ experience as a consultant in old age psychiatry and has a particular interest in the biological and pharmacological aspects of psychiatry. He believes this needs to be accompanied by good, humane inter-personal care. He is an experienced teacher of old age psychiatry and supervisor of psychiatrists in training. He has published research, books, chapters and educational papers in the psychiatry of old age. This book will be of tremendous use to all healthcare professionals from physicians to nurses to social workers, rehabilitation therapists, and chaplains. The pathway taken here is a sensible and reasonable one, emphasizing a patient-centred approach that underscores the importance of spiritually competent care. The Editors do an excellent job of describing how to integrate spirituality into patient care for all of the different healthcare professionals. They also emphasize the importance of an evidence-based approach that is guided by research. This book provides superb guidelines that will be enormously helpful to every healthcare professional.